Watch the video and learn the 5 signs you have, or don’t have in self love. Then make a promise to focus on the places you need love the most, from yourself. After researching and experimenting to find the answer to “How do i love myself? And how do i know if I am doing it or not?” I’ve found there are 5 key signs – “self-love signs” – that will show you the ways in which you are, and the ways that you are not. 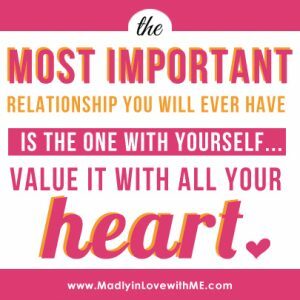 5 signs that you are loving yourself … or not. (and the promises you need to take with yourself to love yourself better). 1. Settling in your life in any way for less than your heart and soul desire? Playing small. Letting fear stop you. Sacrificing your dreams. Procrastinating. Listening to conventional wisdom instead of going for the life your heart and soul are craving. PROMISE YOU NEED: I never settle for less than my heart and soul desire. 2. In relationships that don’t support you or fully honor you? In relationships that drain you or degrade you, dishonor you in anyway. Hold on to friends, lovers, clients that aren’t supporting you to grow or be your best self? Lacking the kinds of friendships or the number of soul family you have around you? PROMISE YOU NEED: I only have loving respectful relationships. 3. Being hard on yourself. You criticize instead of appreciate yourself. Put pressure on yourself. PROMISE YOU NEED: I am gentle, kind and compassionate with myself, always. 4. Treating your body poorly – Neglecting it. Treating it like a workhorse or slave. Being mean to it. Hating on it. Instead of adoring it. Treating it like a temple. Even with wrinkles and cellulite. PROMISE YOU NEED: I treat my body like a sacred temple. 5. Sacrificing what you really desire and what you need, giving more than you have to give? PROMISE YOU NEED: I stay true to myself even if that means disappointing another. this is the self-love gate you most need to focus on this year, making and keeping the promise to love yourself in this way. 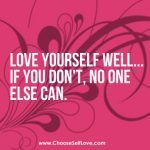 Choose one area of self-love and take the ONE promise that will help you give yourself the love you most need this year. 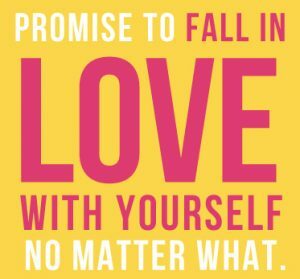 Write the PROMISE down here on the self love blog as an act of taking it and committing to it. Then share with me one small but mighty act you will take to keep this promise this week. I’ll go first… I promise to stay true to myself even if that means disappointing another. I will keep my commitment to always take space for me after leading a retreat – so Monday morning no work, just Christine time, even though other people have asked me to spend time with them that morning. Self-Love? 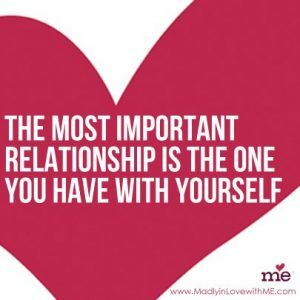 Take the Free Self Love Quiz to find out! I promise to only have loving respectful relationships – and lots of them! This goes along with the promise I made on Self-Love Day: I promise to always speak my truth in community! This will draw the right people to me! I promise myself to not settling less than my heart and soul desires. I will sing my emotional songs and will write my truth and experiences and will give my performances true to me. otherwise how can i end my regret inside me.I promise to true myself and truth needs no approval.I will go for singing classes each week and will write my heart stories with saskia. Reece Witherspoon is the perfect choice for exposing the ‘inner mean girl’ of Cheryl Strafe. As she signs in to each way station on the Pacific Coast Trail (PCT),we truly see both the glamor of the effort to expose you to you and the possible perils that can befall an undertaking of that magnitude. To become conscious of who we are and move on to who we can become, we must meet and confront our dark side and shower that shadow with compassion. This act connects us to Inner Wisdom. For anyone who has retrospected and questioned their relationship role with their mother & vice versa, this movie is an invitation for us to accept our personal mother/child role as it played out in our life. Cheryl first brings up the 5 year olds’ version of mother love; the viewer can subsequently view how love changes through time. Cheryl sees her relationships with men develop and changeover time while hiking the PCT. As Cheryl progresses through the 1,000 miles of idyllic scenery, she also grows her outlook toward self love as her Inner Wisdom develops. There is both obvious and subtle humor in the scheme which defines her ability to laugh at herself and observe her life. I especially enjoyed the interview with Hobo Magazine and the extremely large ‘pet elephant’ she totes along through many days and miles of hiking pain which ultimately sizes down to a normal, useful pet. How did this happen? Help from new friends, advice from sage & wanna be hikers, strength built along the way. What are the dangers of changing your habits? You might find yourself, as the protagonist of Avatar did, in a completely new, and unfamiliar world. Cheryl and Reece call for us to heal ourselves and heal the planet through self love. Hi I am ready to commit to my happiness. I am not fully and not always showing up for myself i every area. I settled about my life. I don`t like how it was going and the way I was being treated so I quit my job. In relationships I don´t get the treatment that I like so I try to avoid those people who dont treat me right. I tell myself all the time that I should be doing more. Sometimes as a punishment for doing what is right for me and upseting others. I am trying to strenghen this area. I used to punish myself by eating whatever. Now I am in a better place. I go to the gym I eat healthier. I try to breath more. I go to massage once a month. About sacrificing myself is that I think of other´s needs first. Thank you! I’ve been receiving messages from spirit that I need to work on my self love and then I found your website. Perfecting timing from the Universe! You have helped me make a commitment to love and better care of myself so many thanks!